26/04/2019 19:30 Concert -in aid of Defence of Children International . Pope Francis urges Catholics and all people of good will to take urgent action against climate change and the ecological crisis. 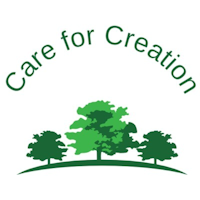 His encyclical letter Laudato Si’ is a stirring call to care for our common home. 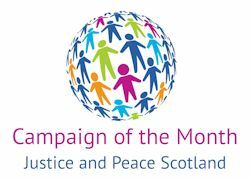 Justice and Peace Scotland is encouraging our friends and supporters to answer this call. Each month we will look at a different environmental issue and provide some sources of information and ideas for action – for us, our family and our community. Further campaigns are listed on our Get Involved page. Click here to Get Involved! In Scotland the Day of Prayer for Peace takes place on Sunday 6th January 2019, The Feast of the Epiphany. The theme of this year's letter for the Day of Prayer for Peace is “political engagement”. Give Me Five coalition organisations sign a letter to the Scottish Government ahead of their 2018 budget asking for urgency in roling out 'Income Support' for struggling families. The Catholic Social Teaching qoutes for 2019 are now available! These quotes are linked to the mass themes or significant social justice dates in the calendar. Please share them widely, perhaps including them in newsletters, bulletins or prayer group reflections etc.